Opinions on how Batman v Superman: Dawn of Justice will turn out continue to polarize the fan community, but one of the frequent complaints among the naysayers is that it’s too crowded. The specific concern is that on top of the two eponymous heroes, the movie also includes Wonder Woman, Aquaman, The Flash, and Cyborg, all the heroes who will join forces in Justice League: Part One (Green Lantern won’t arrive for a few more years). Since Dawn of Justice is only the second installment in the DC Extended Universe, some fans are worried that the movie will take too much time laying foundation for Justice League rather than focusing on the story at hand. While it is true that Batman v Superman: Dawn of Justice is setting up DC’s most famous team of superheroes a year in advance, that shouldn’t be viewed as a bad thing, and it won’t detract from the main narrative. Let’s start with the heavy hitters, a.k.a. Superman and Batman. They’re obviously the main characters, so the spotlight will be firmly on them for the majority of the movie. Anything else would just be absurd. After debuting in Man of Steel, Superman is returning as a more experienced superhero who’s still dealing with the fallout from his battle with Zod. Batman, who’s been fighting crime in Gotham City for over 20 years, will set his sights on Superman, believing him to be a threat to humanity. These two will have their much-talked about brawl, but eventually they’ll make up and become friends, or at least allies, just like comic book nature intended. Then there’s Wonder Woman, who’s making her first live-action cinematic appearance in this movie. While her name isn’t in the title, it’s been made clear in the previews and reports that the Amazon warrior will have a major presence, both as Diana of Themyscira and Diana Prince. So three heroes will have important roles in Batman v Superman: Dawn of Justice. Check. That leaves Aquaman, The Flash, and Cyborg, and by all indications, their appearances will simply be cameos that altogether may add up to around five minutes, maybe 10 tops. 10 minutes in a movie that runs for 151 minutes. That’s not long at all, especially if you take into account that some of those minutes may occur in the closing credits. Details are still hazy about their specific involvement. One rumor had Aquaman appearing on security footage trapped in a containment chamber, while a more recent report claimed that Lex Luthor will draw him into the "proceedings." Flash was originally rumored to just appear in security footage as a blur, but last week it was revealed that the Scarlet Speedster will appear in one of Batman’s nightmares to deliver a warning, though it’s left ambiguous whether he’s real or not. There’s no word yet on how Cyborg is involved, but what we can take away from all this is that these three will not have a major presence. They’re simply being introduced so audiences will recognize them in Justice League: Part One, and for the DCEU, that’s a fitting course of action. I previously touched on this in my "Best Case Scenario" piece for Batman v Superman: Dawn of Justice, but one advantage DC has over Marvel is that more of their heroes are known by the general audience without the presence of movies. Before the Marvel Cinematic Universe, Spider-Man, The Hulk, and maybe the X-Men were Marvel’s most well known characters, which is why when it came to the Avengers, Marvel Studios had to release those solo movies to get moviegoers familiar with them. DC, on the other hand, has done an impressive job with getting their B-listers ingrained in the public consciousness, whether it’s from old cartoons like Super Friends or recent live action TV shows like The Flash, not to mention the video games and apparel out there. Are all their superheroes pop culture staples? No, but at least folks like Aquaman and Flash are familiar enough to non-comic book fans that it’s not completely necessary to feature them in solo movies before the team-up. The only exception to this is, arguably, Cyborg. Besides his comic book presence, his biggest appearances have been in the Teen Titans animated shows, and it’s only thanks to the New 52 that he was upgraded to one of the Justice League’s founding members. He hasn’t gotten nearly the same amount of media attention as his teammates, which is why I hope that in Batman v Superman: Dawn of Justice, he doesn’t have his powers yet. Let Victor Stone be the only "normal" future Justice Leaguer, i.e. a regular human not involved with protecting humanity. 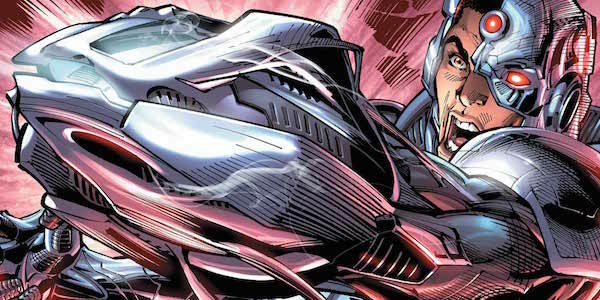 When Justice League: Part One begins, then he can transform into Cyborg, thus following the same path as Geoff Johns’ opening New 52 Justice League arc "Origin." If that’s what Batman v Superman: Dawn of Justice is doing, then really we’re only getting five heroes rather than six. After Justice League: Part One, Aquaman and The Flash will lead their own adventures in 2018, while Cyborg’s movie will follow Justice League: Part Two in 2020. So it’s not like our only time with them on the big screen is going to be in ensemble movies. We will get to follow them individually in the future, but for now, DC and Warner Bros. want audiences to know who all the main players are before they team up in November 2017. 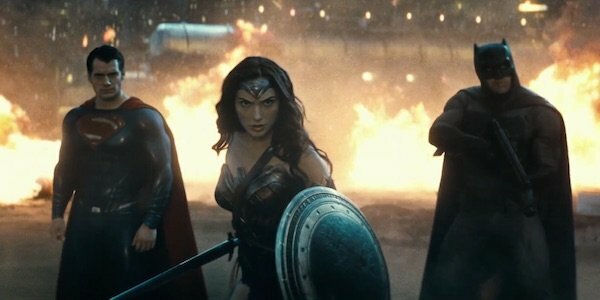 Batman v Superman: Dawn of Justice will still primarily revolve around Caped Crusader and Man of Steel’s conflict with both each other and Lex Luthor, with some Wonder Woman involvement here and there. We don’t need to worry about the other three heroes overshadowing any of the story. They’re simply being included so moviegoers who haven’t absorbed massive amounts of comic books won’t be surprised to see them in Justice League: Part One. With those six in play, that movie can have them band together against a still-unknown threat, the people in the theaters will be excited to see all of them in action together, and Batman v Superman: Dawn of Justice will help make that happen while barely veering from its own story.